At what point does a unique out-of-home execution become art? To help celebrate the launch of its new Gold Rewards Card, American Express sponsored a "Welcome to Yes" art installation at the corner of Yonge & Eglinton in Toronto. 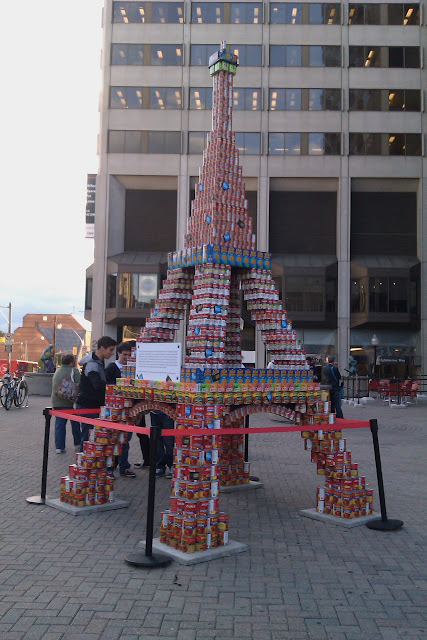 Designed and built by Kubik, Inc., the installation is based on the insight that the card allows you to earn double the rewards points on everyday purchases like food and groceries, taking you "from the grocery aisle to the Eiffel Tower" in no time flat. 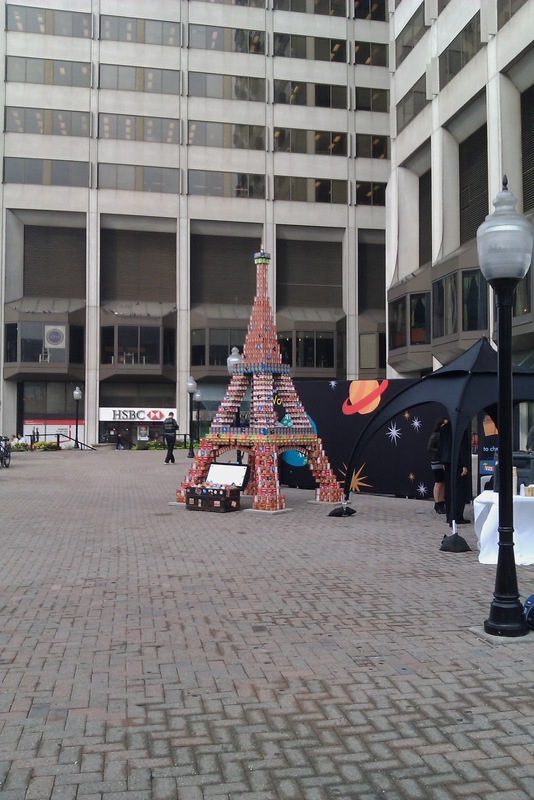 Naturally, the piece consists of an Eiffel Tower built using non-perishable food items. 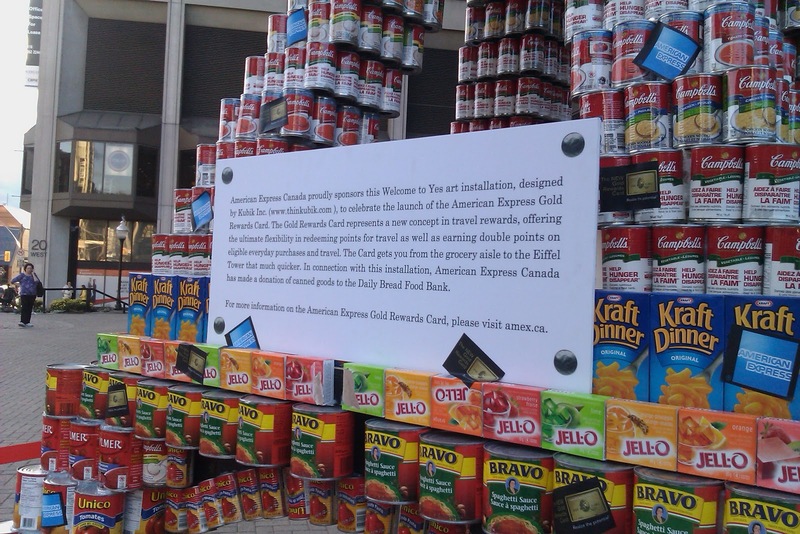 If that weren't enough, AMEX also made a special donation to the Daily Bread Food Bank as part of this initiative. The installation seemed to garner a lot of attention and intrigue from passerby, along with more than a few impromptu photos. There's no doubt that encountering the tower makes one - if only for a brief moment - feel like a giddy tourist on vacation in Paris. And I guess that was the point. Art is meant to evoke an emotional reaction for the viewer, and this installation definitely did that. Well done!